Owing to the myriad of problems associated with the management of animals ranging from cattle rustling and incessant clashes with farmers across Nigeria, Senator Abu Ibrahim representing Katsina North has led a debate on a bill for an Act to provide for the establishment of the National Animal Identification and Management Bureau, for the purpose of easy identification, traceability, registration and other related purposes as an addendum to other strategies to curtail clashes between herdsmen and farmers. 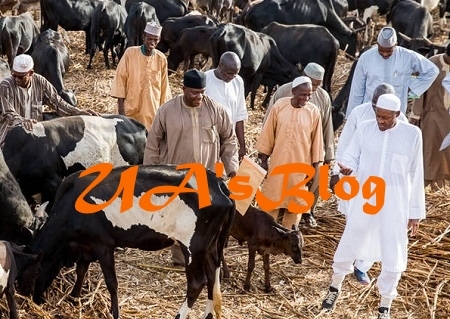 The bill is coming as part of the measures to secure the cattle for owners without challenges of being lost as it can be easily identified anywhere in the world. Senator Abu Ibrahim stressed the importance of the bill saying if the bill for the establishment of the Animal Identification and Management Bureau is passed into law, it will facilitate and ensure the smooth operations of a national system of Animal identification and traceability through developing strategies, mechanisms and schemes that are necessary for the implementation of the system. Drawing out the effects of its absence, Senator Abu Ibrahim said Nigeria, noted to have about 40% of the entire cattle population in west Africa cannot participate in the export of meat and other dairy products because the country has not been able to abide by international standards as laid down by the World Organisation for Animal Health, WOAH. Buttressing his point, Senator Abu said Nigeria is lagging behind because at a meeting held in Argentina in March, 2009 by World Organisation for Animal Health and its members including Nigeria, it was resolved that member countries should aggressively implement Animal Identification and Management Systems as per the terrestrial Animal Health Code for fairer and broader international trade of animals and animal products. Equally, in April 2015, Sub-Saharan African Countries, including Nigeria adopted a declaration in Pretoria, South Africa, on animal identification and recording; a move that was expected to improve food security, animal genetics and better flock management as well as manage animal health and disease control. This adoption in Pretoria declaration on animal identification and recording systems for traceability and livestock development, according to Senator Abu Ibrahim, affirmed their commitment to identification of animals and recording of their movement and health through measures such as surveillance, early detection and notification of disease outbreaks, rapid response, zoning and compartmentalisation is totally absent in the country. Citing the existence of this law even in African countries, Senator Abu Ibrahim said the law is notably in Botswana, Kenya, Tanzania, Namibia, Ethiopia, Somalia, Uganda and Djibouti, whereas Nigeria as the giant of Africa is yet to enforce this law by establishing such a bureau. Some of the benefits of animal identification and management system in Nigeria, as soon as the bill will be passed include international market access and trade, thereby diversifying the economy. It will also aid in animal health and disease control and management through prevention and quick response to disease outbreaks. The Bureau’s establishment will enhance food security and safety through traceability of animal products as well as transparency and information in the food chain. It will also serve as theft deterrence, especially as it affects the incessant cattle rustling crisis. The measure will aid intelligence gathering by security agencies towards mitigating the potential explosive Herder/Farmer conflicts. The organised system will allow for lowered transaction cost in the animal trade business due to the involvement of financial and insurance companies as a result of availability of accurate data and enhance internally generated revenue and job creation, Senator Abu stressed.